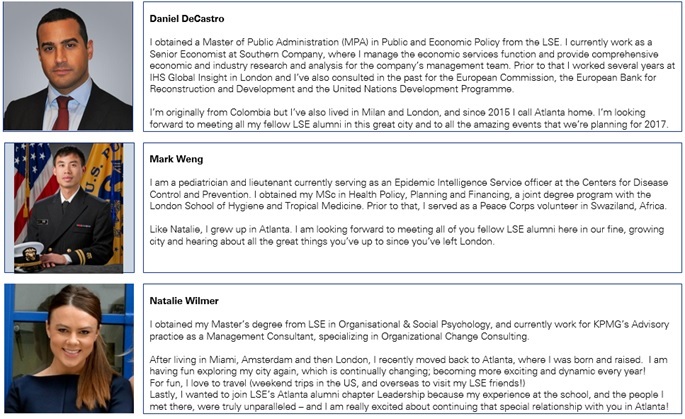 LSE alumni and friends are invited to meet the new Atlanta chapter leaders at a very informal LSE get-together at the Ladybird Café (on the Beltline) from 2:00 — 4:00pm on Saturday, June 24th. We recently had the honor of receiving the Atlanta AFLSE leadership baton from our incredible prior chapter leaders, Emily and Mont. As such, we wanted to introduce ourselves to you, with the hopes that we will have the opportunity to get to know each of you over the coming year. To kick things off, we will be hosting a very informal LSE get-together at the Ladybird Café (on the Beltline) from 2-4pm on Saturday, June 24th. We know everyone’s schedules are busy on the weekends, but hopefully you will be able to stop by for a few minutes to introduce yourself and hear about our exciting upcoming events! We really look forward to meeting you, and understand, from you, how we can best serve the Atlanta LSE Alumni community. Please email us at atlanta@aflse.org with any questions, and we look forward to seeing you!